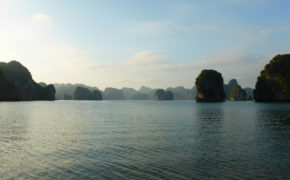 Home » Blog » Bai Tu Long Bay- Is it worth visiting? 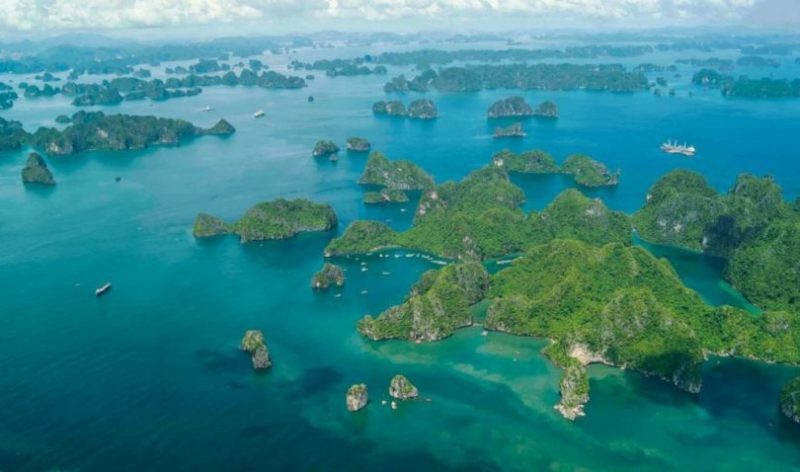 Located in the East of Halong Bay and close to China-Vietnam’s border, Bai Tu Long Bay is an off-the-beaten-track destination that has recently been in high demand among international tourists. Possessing a similar landscape with Halong Bay, Bai Tu Long Bay features clearer water and less-touristy attractions. 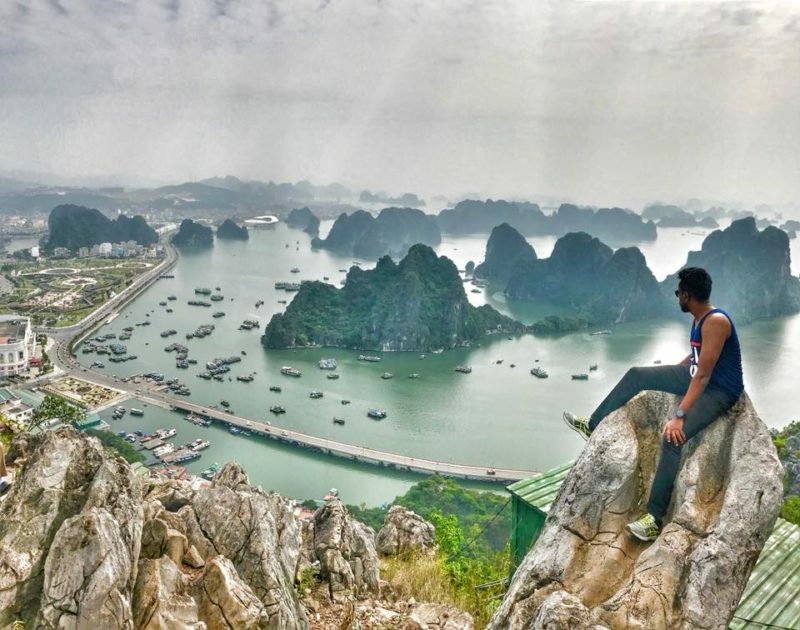 In the past, adventurers knew how to find Bai Tho Mountain whose spot is ideal to witness the panorama view of Bai Tu Long Bay from its top. However, because of the flush of tourists and incapability to preserve the environment, tourism operation of Bai Tho Mountain has been banned since 2017. And perhaps Bai Tho Mountain has been too popular as much as the name of Bai Tu Long Bay that they both have attracted lots of attention from travelers around the world. And now, you might wonder, what else in Bai Tu Long Bay to visit and shows its unique? Let’s find out. According to the legend, millions of years ago when Vietnam was attacked by its invaders, Emperor Jade sent Mother Dragon and her children to help the Vietnamese. After the invaders were defeated, the dragons fell in love with the peaceful seascape and decided to make their home in the bay. The place where Mother Dragon descended is now called Halong Bay, while Bai Tu Long Bay is where the young dragons descended. If having the “too crampy” feeling when in Halong Bay, you will feel the opposite thing when in Bai Tu Long. The whole panorama scene is in front of your eyes, vast, and breath-taking. The area is instantly quieter. 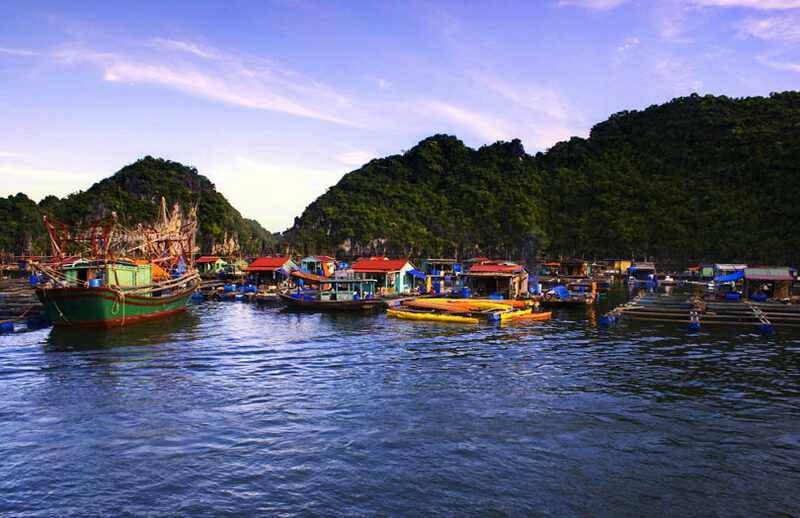 As located in further east of Halong Bay, a minimum 3-day cruise is a better idea if you want to explore this hidden bay. 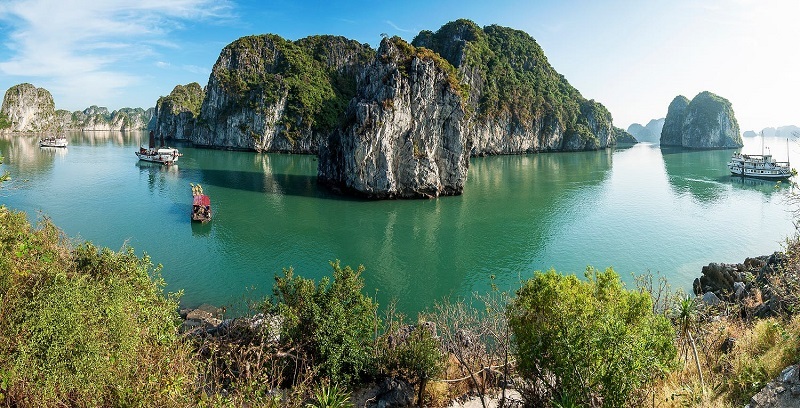 The longer itineraries toward Bai Tu Long might be a barricade for most people, which leads to why most still prefer Ha Long Bay that requires a briefer time of visit. What makes Bai Tu Long stand out is the beauty of karsts and limestone mountains rising from the water or mystical caves in tranquil mode. A number of attractions that still remain their primitive charm will trigger your curiosity. 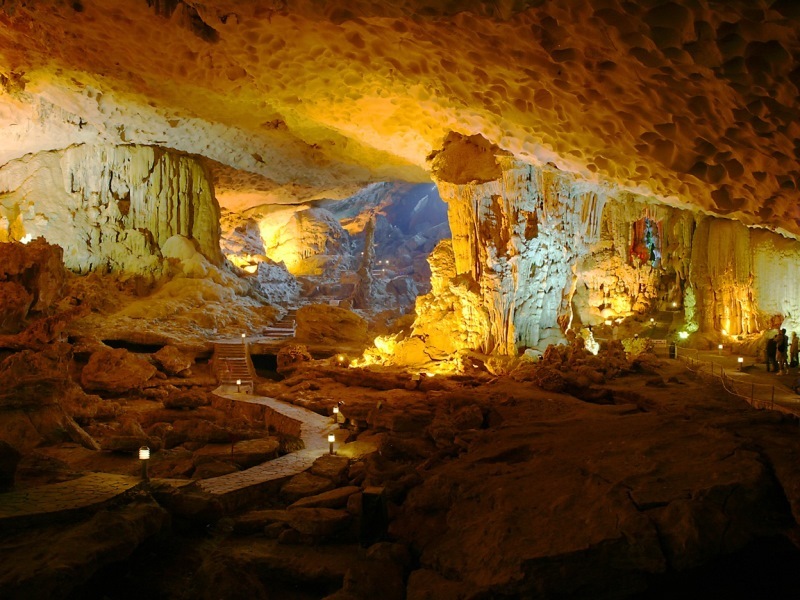 Open sites for the public to visit are Thay Cave, Vung Vieng Fishing Village, Thien Canh Son Cave, Ang Du Area, and Ban Chan Beach. The village is situated in the heart of Bai Tu Long Bay and 24 km away from the mainland. 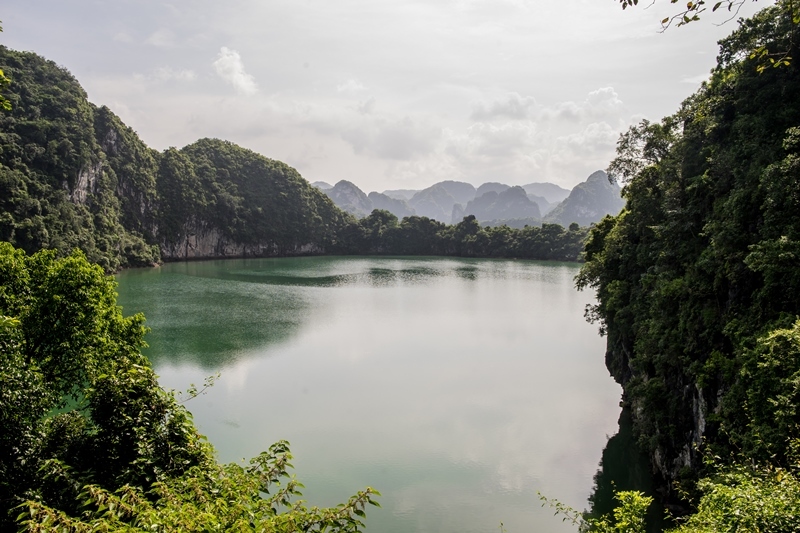 In Vung Vieng, you will be immersed in the quiet and peaceful location while viewing the charming landscape and learning more about the local culture of fishermen who were here for generations. Kayaking in Vung Vieng is much more transformative than anywhere else. The clear water and tranquil atmosphere will relax you thoroughly. Ban Chan Beach offers the most crystal-clear green/blue water with smooth white sand beach. It is a hidden paradise concealed from the masses and still widely unknown. Therefore, Ban Chan Beach is perfect to swim and snorkel along with your group of favorite people. Enjoy the water, relax on the beach, and you can even set up your own BBQ party, here. Ang Du Area is an off-the-beaten-track attraction and does have a decent beach to relax and spend your own quality time. It is also the place for those who crave for a mini adventure. Hint: Walking toward the center of the island, there will be a beautiful lake for you to be in awe through all the climbing and bushes. The pathway leading to Thien Canh Son Cave is already unique as it is set below forest canopy and a stone cliff. Inside the cave, you will feel like being surrounded with an ethereal wonderland beauty, seeing a mini ancient civilization revived through the stalagmites and stalactites. Many legends and stories have been told throughout the years, and now to tourists from all over the world. Plus, you can’t resist taking photos of these mesmerizing attractions. Weather plays a vital role in planning the right time to visit this bay. The place is welcoming passengers throughout the year, but July-September is often not recommended due to the southern monsoons, which lead to unstable weathers and storms that interfere with your plans. The high season of Bai Tu Long Bay is from November to April when the weather is cooler, dry, and stable so you will have more freedom to do outdoor activities. October and March/April are the ideal period with perfectly balanced temperature fluctuation. 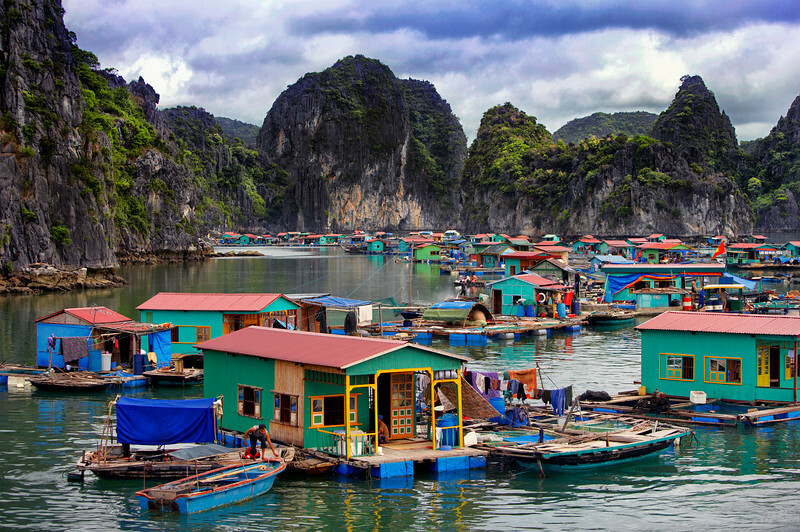 Packing for a cruise in Halong Bay might be simpler than you think. You only have to bring the basics along. 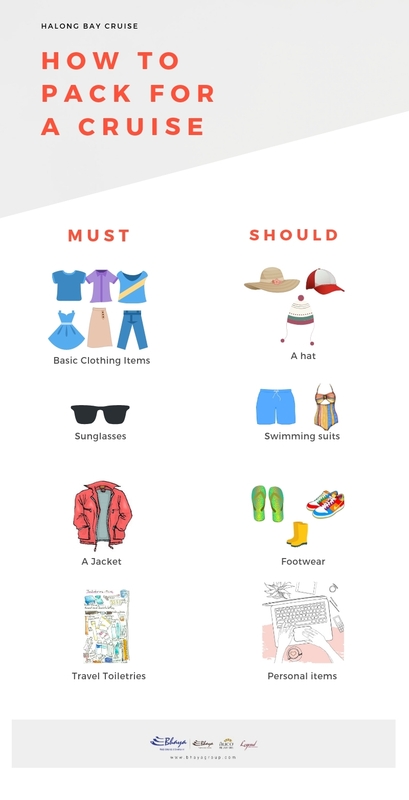 If traveling with a baby, you can pack extra and also ask cruise operator for the best advice. Depending on the weather, you can prepare suitable clothes. In the summer, don’t forget to pack some tank tops, swimsuits, shorts, flip-flops, hat, and umbrella. During winter time, it will be quite chilling in the evening so a waterproof coat is a must. Rainboots will be ideal for more humid months. In the Gulf of Tonkin, it is when you can distance from the loud world and immerse yourself more deeply into nature. The Internet will not work in this area, yet stunning landscape will make you want to capture these moments with your smartphones or cameras. So having some extra plastic bags to protect the gear is necessary, too. Most cruises have basic toiletries for passengers, yet if you prefer to use your own products, bring them along. Also, if you are taking special medications, packing them in small containers is a smart idea. Local people usually travel by bus or car to Cai Rong Port, Van Don District, Quang Ninh Province, and board a high-speed boat at the harbor. The islands come into sight after a trip varying from 45 minutes to 1.5 hours. These islands’ beaches have probably the best water and sand quality found in all of Northern Vietnam. The bay is also home of Bai Tu Long National Park, one of seven Vietnam’s national parks that have both a terrestrial and an aquatic zones. As being far away from Halong City, Cat Ba Island, or any inhabited island, you can only visit Bai Tu Long Bay and stay overnight on a cruise once choosing this route. 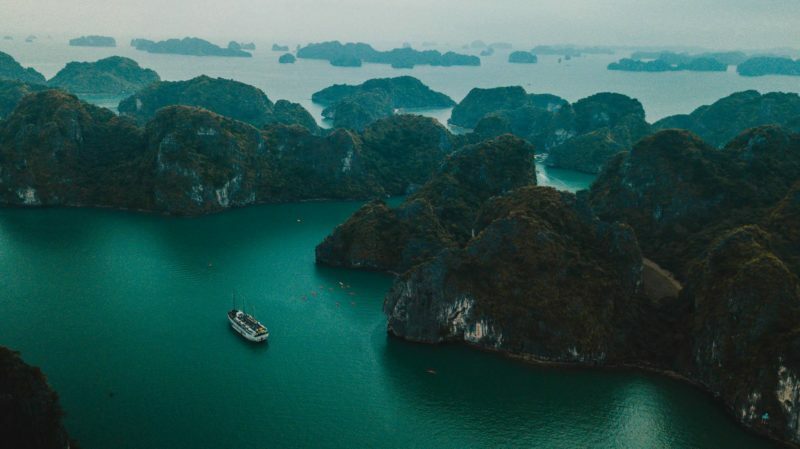 To meet your curiosity, Bhaya Cruises offers the 2-day-1-night Bai Tu Long Bay Cruise, so you can uncover the beauty of this wonderful Bay at the most affordable price! 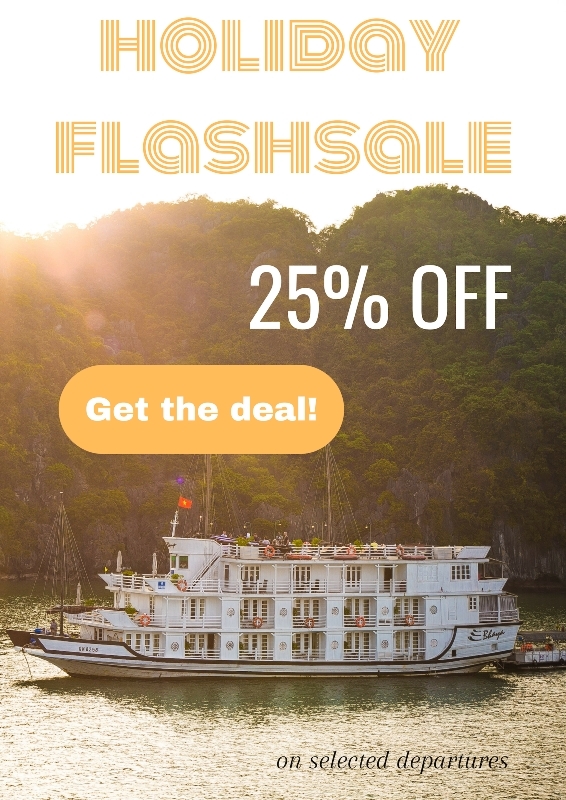 If you would like to have a longer stay in the Bai Tu Long Bay’s tranquility, the 4 Days 3 Nights Explore Further The Heritage with Private Cruise or In-Depth Halong Bay & Gulf of Tonkin 5 Days 4 Nights Private Cruise can be a great consideration. These cruises are able to contain from 1-6 people onboard so your privacy is ensured and service delivery will be more focal on you. Come and discover the flawless beauty of Bai Tu Long Bay!